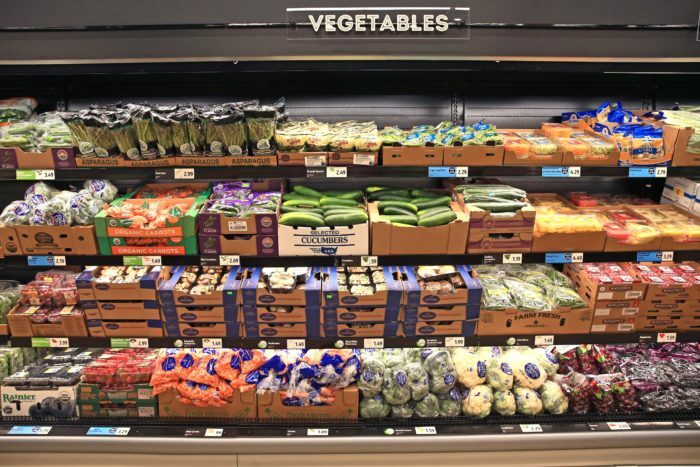 Aldi has been remodeling existing stores and opening new stores at a fast pace in recent years, and the company announced today that it is upping its game even more by increasing its selection of fresh food products. Customers will find more fresh, organic, and easy-to-prepare foods. Twenty percent of products in stores will be new compared to last year, with an increase in fresh food selection by 40%. Leave us a comment letting us know what new items you are most looking forward to, and be on the watch for reviews of these new products in the coming months. How about bringing the Deutsche Kueche line more than twice a year? We miss the pretzels, dopple keks, strudels.. etc.. Why wait for Oktoberfest to get them? I don’t have a problem with any of these, but I hope Aldis knows their audience and the prices don’t go up. We already have access to a Whoke Foods, we just make a conscious choice to try and eat healthy while saving money. Aldis helps is so that. Crossing my fingers they find a way to make the changes they want while keeping prices low. I love the new selections popping up everywhere! I’m so excited for the new vegan options! I want to see dairy free icecream pints added too! (the lower calorie ones) and dairy free cheese and the meatless hotdogs! So happy to see Aldi doing so well!